FAQ - The Hickman Academy - for Spirit Release and Healing Remote Spirit Release, Worldwide. We thought it necessary to answer some of the questions a lot of clients ask us. We hope to be of help but if you still need to know that little bit more then please phone us. Q. What happens during the releasement, do I need to sit or lay down or rest or can I carry on with my life as normal? A. 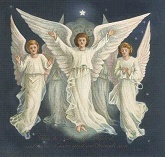 Remote releasement is done by the Guides and Angels from both parties. The work is carried out at a higher level, higher vibration, and does not interfere with the client’s normal workday. They will always take care during the work that nothing negative will happen. Over all the years that this work has been done by Dr. Irene Hickman, our Teacher, and us there has never been a negative outcome during or after the Releasement. Sometimes people have been on the operating table whilst we were working on a different level for that person, and the outcome was very positive. There is no need to rest or sit still only if you would like to do so. Q. What will I experience when you do the Releasement? A. This is different for everybody. We were told by many people that they knew when we did the work as they could feel energy being shifted. We work with energy, change negative into positive; this is always done on a higher level. Some people can feel this, others have no idea. For some the change is immediate, for others it will take time. People usually feel ‘lighter’ after a Releasement. Q. I do not feel different; there is no change at all. A. Our work is about eliminating the possibility that the ‘illness’ is from an Attachment. When a person has been ill for a long time and doctors don’t seem to have a cure people try other roads, Alternative Healing. One of these roads is Spirit Releasement. If the illness is from an attachment it will go, instantaneously, after the releasement, if not... the illness was not from an attachment and we need to go further. If a person has a dislike for the self, the human body, for instance, it can be a longer road than just one scan. If there is a lot of Karma involved, negative emotions like hate, jealousy, feeling hard done by, etc. etc. That is why we have made it possible to do back up scans on a monthly basis for people for a low price. There are times when a person is so used to their problem or illness, that although the Releasement has been carried out successfully they are loathe to let go. Sometimes people use their possession as a prop, or an excuse for their behaviour. The power of the mind can re-invent their attachment. Q. Why did my symptoms increase after the releasement for a time? A. For some the release of negative energies that were causing problems is the start of the healing process. When someone has been influenced by an outside force for a long time the healing may need to be over a period of time. Residual negative energy may remain after the source of the problem has been released and the Healing Angels continue with the healing process for as long as necessary, or possible. Usually the client experiences a gradual healing over the necessary time span. What the client needs to do is to think positive so they can help in their own healing. Q. How do I attract these Dark Forces all the time? A. The Universe will help us when asked but they will not and cannot interfere with our Free Will. We have a very powerful tool, the Mind. Our mind is the most powerful tool we have; our thoughts make us who we are. If you are always negative, you attract the same energy to you. Negative Energy is what Dark Forces are all about. Also, if you wish to invent a problem your mind is easily powerful enough to do so. This dark energy can manifest itself, in time, and become a reality, existing in its own right, in or outside of the person’s body. It happily obliges to become whatever the person wishes it to be. This manifested energy can be released, but if the person insists on re-manufacturing it the Angels/Guides will not interfere, it is our free will. Q. Why do you charge for your work as you say the Guides and Angels do the work? I am a Healer. Can you give me a free meal, or service my car for nothing? How about letting me live in your house for free and I could do with a holiday by the sea-two weeks would do nicely. It would be wonderful if people did give these services free, but they don’t. We all need money to live, to buy things we need, and we get money by different ways, by doing different jobs. If we don’t have a job, then we go on the dole to get money. Nothing is given free. We have to live in this world and support the body we live in. So why then are Healers expected to give their time for free? You might say healing is a gift. Yes, it is. But so is being an artist, a musician, or a poet and lots of other things. Using the gift of healing for nothing does not pay the bills or feed the cat. Artists sell their pictures, poets sell their poems, musicians put on a concert and people pay to hear their gift of music. As a Healer, I have to live in this world and that means I have to live by the rules of this world. I work for the world of Spirit in Healing. I work as a Healer, using the gift of Spirit to help people here in this world live healthier. But I can only do that if I am fit and well and have a good night’s sleep in a bed, and I have something to eat and warm clothes-to be a Healer. I have a responsibility to myself, so that I can be a Healer and Heal. So when all this is said and done, I also need money to live by, so I charge for my time as a Healer.